Born in England May 9, 1936, Finney began his career as a Shakespearian theater actor before transitioning to films in 1960’s The Entertainer. He became a known quantity after his title role as the rascal Tom Jones, which became 1963’s Best Picture winner and earned him the first of his five Oscar nods. After this the stardom-averse Finney focused more on stage work for many years, though he did co-star with Audrey Hepburn in the hit romantic comedy Two for the Road. His next triumph saw him embody Agatha Christie’s iconic Belgian detective Hercule Poirot in 1974’s star-studded Murder on the Orient Express. Although he earned an Oscar nod and was Christie’s favorite actor to play the character, Finney passed on reprising the part in Death on the Nile and subsequent Poirot features, passing the torch to Peter Ustinov. He would, however, work with Orient Express director Sidney Lumet again on the filmmaker’s final movie Before the Devil Knows You’re Dead in 2007. Finney co-starred in Ridley Scott’s 1977 directorial debut The Duelists, and worked with the director again three decades later on 2006’s A Good Year. He dipped his toe into the horror genre with 1981’s Wolfen, an unconventional werewolf film where he played the lead role of a burnt-out New York cop. Finney earned his third Best Actor in a Leading Role Oscar nomination playing an aging actor in the 1983 stage adaptation The Dresser, opposite Tom Courtenay. He worked with John Huston on 1982’s hit musical Annie as Daddy Warbucks, and then again with the director as an alcoholic in 1984’s Under the Volcano, earning him another Oscar nomination. Finney’s most memorable role of the 1990’s was his tough portrayal of an Irish mob boss in the Coen Brothers masterpiece Miller’s Crossing, a last-minute replacement after the death of the originally-cast Trey Wilson. He also earned praise for his role in A Man of No Importance as a gay bus conductor in 1960’s Dublin. The 2000s saw Finney spark a short run with filmmaker Steven Soderbergh, first as a shifty lawyer opposite Julia Roberts in 2000’s Erin Brockovich (earning his fifth Oscar nod), then as the White House Chief of Staff in that same year’s Traffic. Both films were nominated for Best Picture. He also played the small but crucial role as Gaspar LeMarc in Soderbergh’s hit sequel Ocean’s Twelve. He worked with filmmaker Tim Burton twice also, the first time as the yarn-spinning main character in Big Fish, sharing the part with Ewan McGregor as a younger version. He also voiced a role in Burton’s animated Corpse Bride. Finney capped his career in two big spy franchises. He played Dr. Albert Hirsch, the founder of the Treadstone program, in both The Bourne Ultimatum and The Bourne Legacy. He followed that up with a memorable turn as Kincade, a father figure to James Bond in the blockbuster Skyfall, which would ultimately be his final screen role. In honor of the great Albert Finney, I’m going to take time tonight to listen to Frank Patterson tenor the hell out of Danny Boy while the old man shows his artistry with a Thompson. I met Albert Finney in Alabama on the day of the table read for Big Fish. I had no notes. There was nothing to fix. He was exactly who you hoped he would be. RIP. So sad to hear of the passing of Albert Finney . I had the great pleasure of working with him on ‘Annie’ the movie. Who could forget him in Tom Jones .RIP we will miss you!!! I never had the pleasure/honor Of meeting the incomparable Albert Finney. But today, for some strange reason, I feel like I have lost a family member. Thank you dear Sir, for raising the bar to levels unattainable! 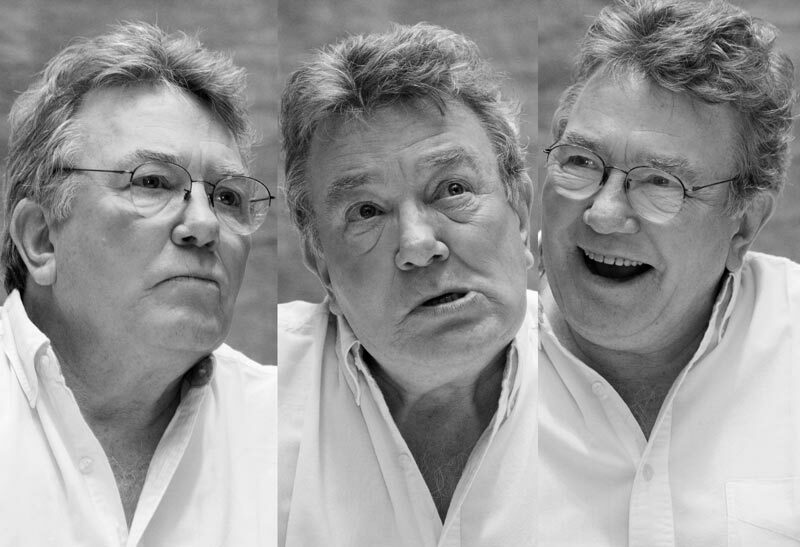 Found these pics of #AlbertFinney shaving his head for Annie and now I’m all sad again.